Tally is a sire of some amazing horses. 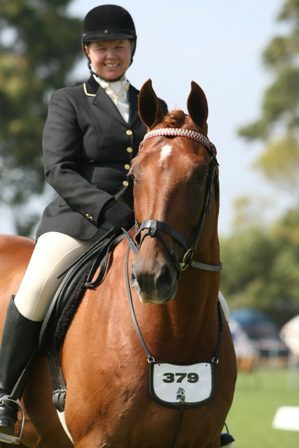 Over the years Tally and I have had great success in the show-ring and dressage arena, some of his achievements have been Winning IDSHS Ridden Stallion and Winning All-breeds Ridden Stallion at The Royal Melbourne Horse Show 2008. 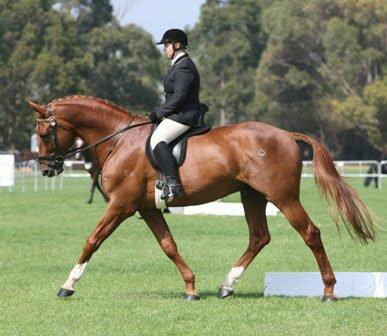 Tally's progeny are strong, athletic types with a lovely nature. They are now proving to be talented jumping horses with his progeny competing up to A grade EA showjumping, One star eventing and making their mark in the hunting circles. Tally himself is now semi retired, while I devote my spare time to his progeny. He doesn't like that too much, so I make sure he goes to riding club now and then for a change of scenery. Everyone loves to see him out and he loves the attention. All mares sent to Tally now go to the Ovens Valley Equine Veterinary and Reproduction Services. They are given 24/7 care by qualified Equine Vets. The mares can stay in private or shared paddocks and are checked daily. Tally remains on our small farm and visits the centre when needed.